Once again ICU will attend the Festival in Santa Maria Maggiore. 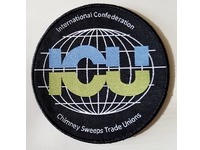 Make sure you get your own ICU BADGE as a member of a trade union which is organized in the International Confederation of Chimney Sweep Trade Unions. Also look out for our fun FOTOBOX and enjoy the pictures together with you favorite sweeps here in Santa Maria Maggiore. See you soon!